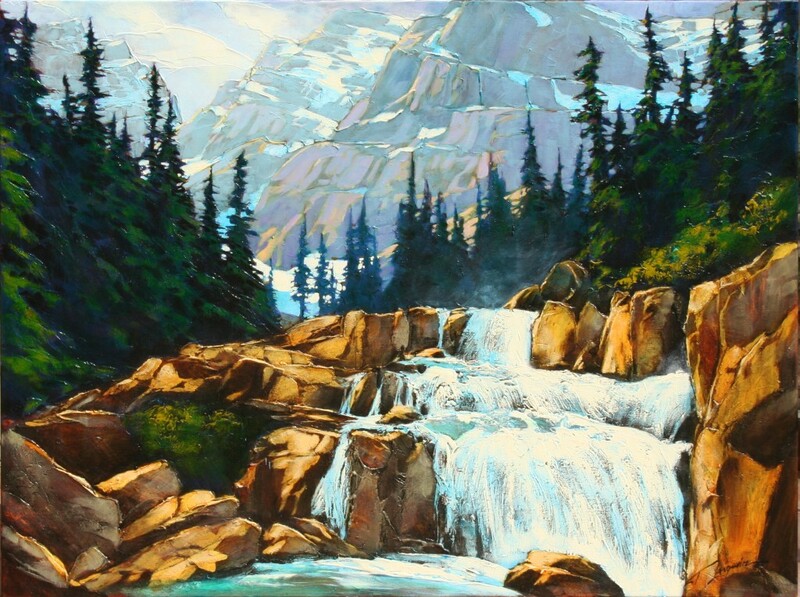 David Langevin is a prolific and accomplished painter of “trees and rocks, water and sky, mountains and snow.” He has a personally distinctive painting style which includes extensive use of texture effects and transparent layers of glazes. 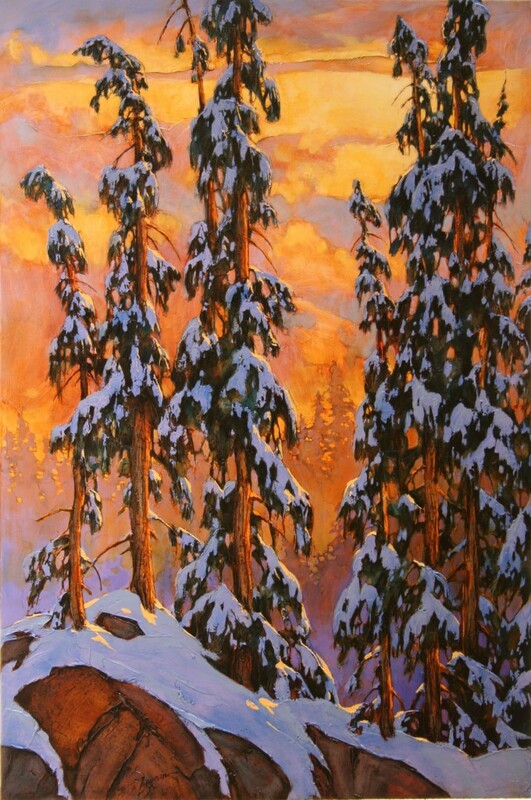 As part of his commitment to the training and development of artists his web site is a treasure trove of technical tips and information on painting materials and techniques. Registration requires a non-refundable registration cheque (current date) of $100 and a post-dated cheque for the balance of $250 (non-members $345) dated April 3, 2019. (See below for e-transfer instructions.) If a workshop is overbooked at the time of your application your cheques will register your name on the wait-list, and will be refunded if a place in the class is not available. Please place the name of the workshop on the front of your cheque. Come prepared to take notes, ask questions, and to paint. Acrylic paints. Do not bring Golden Open acrylic paints. Important: do not buy additional paints before the workshop: bring what you have. If you have none, don’t bring any paints.